North Pole Reform School Blog Tour – Day 7 + 8! So this is it, the NPRS tour is over already! It’s gone so quickly but it’s been such a lovely tour! The final two days have been amazing! – A fantastic review from Kimber Leigh, who calls NPRS “one of her favourite reads this year” at Kimber Leigh Writes! – Another amazing one from Unabridged Bookshelf! – 5 Stars from Always Lost In Books! – Lovely review from Chill Reviews! – 4 stars from the Two Tall Tales blog! – 4.5 out of 5 stars from All Things In The Cloud Sweet! 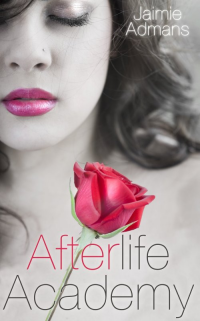 – An interview with me on lovely author Stacey J Mitchell’s blog! – A guest post about my writing habits on Cherry Mischievous! Don’t forget there’s still a $25 Amazon voucher up for grabs at each of these stops! – My lovely tattoo-buddy Jenny has listed her top ten books of 2013, and Not Pretty Enough has made her list! It’s such an honour! Check it out at Jenny In Neverland! 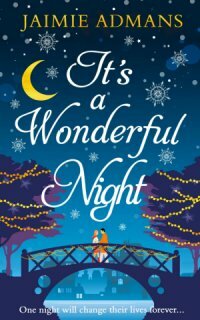 – And last but not least, fab writer Jennifer Joyce has let me on her blog today to talk about my top ten Christmas films! Thank you all for such a wonderful tour! It’s been fab and festive, and I can’t believe how nice everyone has been about the book! Thank you everyone! Now, it’s nearly Christmas… Where’s the Quality Street? North Pole Reform School Blog Tour – Day 5 + 6! Day six of the North Pole Reform School tour already! There’s only two days left! – 5 stars from Yvonne at The Shadow Realm! – 4 stars from Been There, Read That, Reviewed The Book! – 5 stars from The “I Love Books” Club! 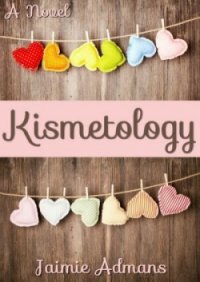 – 5 stars from lovely author DJ Kirkby! – Wonderful review from Buried Under Books! – 5 Dancing Candy Canes (!) from Bella’s Shelf! 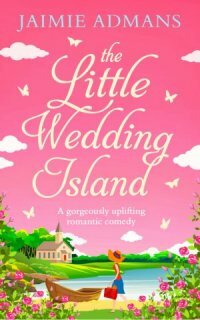 – Not part of the tour, but the fabulous Laura at Laura’s Little Book Blog writes brilliant reviews and gives NPRS 8.5 stars out of 10! – And author Alison Jack is running a feature on Christmas Reads this week, and NPRS is her pick for Day One! 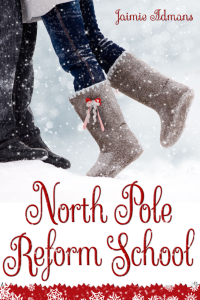 North Pole Reform School – New Christmas YA Book – Out Today! Time for another book release! (Don’t worry, it will be the last for a while!) 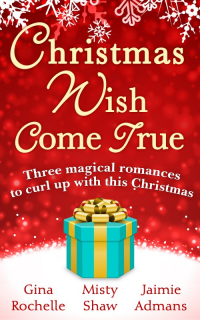 My fifth book, a YA Christmas romantic comedy is officially released today! It’s called North Pole Reform School and I would, of course, love you to read it! You can read a sample or buy the book on Amazon UK or Amazon.com, and it’s available from every Amazon in the world so you’ll be able to grab it from your local one too! It doesn’t matter if you don’t have a Kindle, because it’s also available in paperback! See? Amazon UK or Amazon.com and Amazon have very kindly reduced the price at the moment too, but who knows how long that will last! Find NPRS on Goodreads: Here. There’s also a giveaway running on Goodreads, where you can enter to win a signed paperback copy of the book! Open internationally! Enter HERE! If you missed it earlier in the week, North Pole Reform School will also be going on a blog tour in December! It will run from Dec 9th to Dec 18th (missing the weekend) and all bloggers are more than welcome to sign-up to review the book, or have an interview or guest post with me, or even something simple like a spotlight post would be fantastic! I’m looking forward to a fun and festive tour! As always, I can never thank you guys enough for supporting me on release day and on every other day of the year! Blog Tour Invite: North Pole Reform School – Touring In December! Finally I have some North Pole Reform School blog tour info to share! Dianne from Oops I Read A Book Again and I are organising a blog tour for North Pole Reform School in December, the 9th until the 18th to be exact! All bloggers are welcome to take part, we have no limit on sign-ups so the more the merrier! As the book is festive and it’s close to Christmas, I’m hoping this will be a very festive tour! 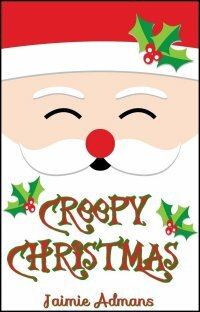 You can choose whichever day you want, and if you want to do a review of the book or if you’d prefer a guest post or an interview from me, questions and guest post topics can be normal writing-related or Christmas-related, I think it would be quite fun to do mostly Christmas stuff! Final copies of the book are now ready (which is just as well really considering it comes out this week!) and as before on the Not Pretty Enough tour, there will be a tour-wide Rafflecopter giveaway for an Amazon voucher, and a separate giveaway only for the tour hosts! Feel free to get in touch with any questions! And thank you all for the support, I really hope this will be a fun and Christmassy tour! Released Wednesday, November 6th 2013! Today I’m pleased to host a blog tour stop for Ashley Hill’s horror short story, The Harvesters! Ashley has been super supportive of me and my books and I’m thrilled to be able to return the favour today! When she finds her boyfriend shackled to a white metal table Ashley feared for the worse. On a small trip of dropping off a package for Jason’s father, the young couple never thought they would be running for their lives. Running away from supposedly friends whom in turned to be a family of harvesters. Human harvesters and they are looking for something specific. And Ashley just might be the perfect match for that something. I really enjoyed this short story, it starts off right in the middle of the action, it’s very creepy and poses a lot of questions – who are these ‘harvesters’ and just what are they harvesting? Creepy children, action, drama, peril, it has all the right ingredients for a horror story! I liked the change of viewpoint between characters half way through, that was a clever switch, and kept things interesting! It’s easy to read in one sitting, and the ending is fantastic! A really nice twist that made me want to read the next in the series immediately! I really look forward to finding out where Ashley takes the story next! I’ve only given it 4 instead of 5 stars because there were some editing issues that made it quite hard to follow in places, but overall this was a creepy, quick read that I highly recommend to horror fans! I’m a college student still trying to get a handle of the adult world. When I need to get away from it I lose myself in books, my own writing, and in spending time with my amazing boyfriend which he supports me to no end. is into a dream career and going one step further I would love to open up my own book store. Thanks to Ashley for letting me join in the fun today, and good luck with the rest of your blog tour! The Sentinel by Holly Martin – Cover Reveal! Today I’m thrilled to be part of the cover reveal for a brand new YA novel from debut author Holly Martin! Over the past couple of months, I’ve got to know Holly through Twitter and have seen her preparing for her release and followed each update excitedly, and I was so pleased when she agreed to let me be part of the cover reveal! The book will be released on October 16th! It sounds amazing, the early reviews are amazing, and I definitely can’t wait to read it! Not Pretty Enough Blog Tour – The Tenth and Last Day! It’s the end of the blog tour already! The last and final day is here. I can’t believe it’s over! 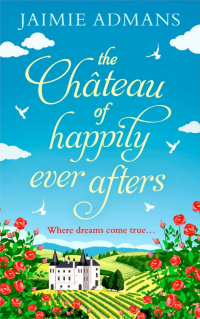 – Another fab start to the day with this review from the lovely Donna at Room For Reading! – 4 stars from Me, Bookshelf, and I! – 4 stars from Bianca2b! 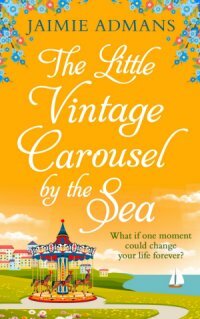 – Lovely review from Rebbie Reviews! – And Random Jendsmit hosts a guest post by me on Getting Inside Character’s Heads! And that’s it! It’s been a fantastic two weeks and I can never thank everyone enough for all the love and support! Every review, every guest post, interview, spotlight, and excerpt from bloggers on the tour, and every mention and RT on Twitter and Facebook is appreciated so, so much! You guys rock! Extra special thanks to Dianne at Oops I Read Again who has worked countless hours to organise this massive tour! Coming up next week: Cover reveal info and blurb for my next book – North Pole Reform School!